The most important piece of advice we can give you is to identify exactly what you want before the sales are announced. Don’t be sucked in to buying tonnes of stuff you don’t actually need. There are some amazing bargains to be had on Black Friday, but only if you actually need whatever it is you’re buying. Check the prices ahead of Friday. In a lot of cases, stores will boast huge discounts, but in reality many items will have barely been reduced, if at all. It’s easy to get caught up in the excitement of Black Friday, and when you see a “50% discount” tag, the temptation is there to snap it up. Take your list of desired items and have a look to see how much they are being sold for now, then you will have an accurate idea of how much they are really being reduced by. Website camelcamelcamel is a useful tool if you're shopping on Amazon; it lists historic price records for all items, so you can see exactly how the price has changed over time. Find as many retailers as possible with Black Friday sales and compare the prices across them all. If you restrict yourself to one or two shops you could be missing out on a big bargain. It's also worth noting that some retailers are offering price match schemes. Currys for instance have recently pledged to match the likes of Amazon, even if they are running special offers. Firstly, I’m hoping to pick up a Hive or Nest Thermostat, hub, and lights. This will be a game changer for my house, simply because I want to be able to turn the lights off/on and change the temperature without moving from where I’m sat/laid (who doesn’t). With a home hub I’ll be able to do it through an app on my phone! It will be super useful in winter because I can turn the heating on while I’m on my way home instead of having to leave it on all day. I’m also keeping my eyes peeled for a Nintendo Switch. To be honest, this isn’t something I really need, more something I’ve been tempted to buy for a while and will buy if the price drops. Zelda: Breath of the Wild is really the only game I want to play. The only other thing I’ll be looking for is cheap computer parts, I’m trying to build my own PC but the price of everything is kind of putting me off. What better time to shop around than Black Friday! I already have PSVR (Playstation VR) but can’t recommend it enough. I have seen some great Black Friday deals floating around for about £250, including the required camera, so keep an eye out for that. 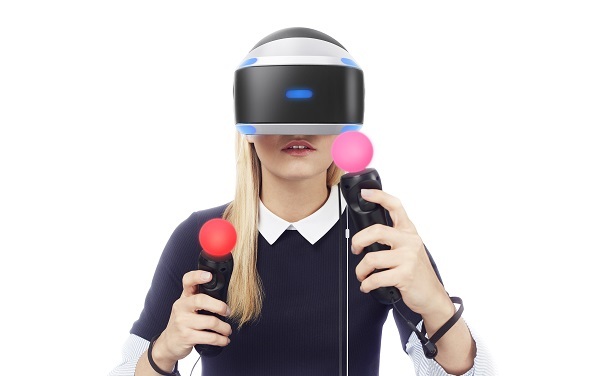 PSVR does require that you have a Playstation 4 already, but for getting into VR it is one of the easiest and cheapest options available of the ‘heavy hitters’, including Oculus and HTC Vive. It’s a bit of a cliché, but VR really does need to be seen to be believed. After a year on the market there are a wide range of games for the headset, too! Whether you want to take a relaxing stroll through a prehistoric jungle or test your nerve in a haunted house, PSVR will be a hit with anyone who visits over Christmas! Like Carlie, I’ll also be shopping for computer parts. Having had an extra large desktop for the past five years, I’ve recently downsized in power (wattage) a bit and would like a case that is a bit more stealthy - one that is almost silent would be great. My newer hardware doesn’t generate as much heat so it doesn’t seem to need the same amount of airflow, and can have fewer fans/noise. Speaking of noise, my previous liquid cooling control unit is broken causing it to be too noisy, so I’ll also be on the lookout for one of those. We hope you find what you're looking for this Friday, with as little stress as possible!